The stress faced by the European Union (EU) due to a large inflow of Syrian refugees at its borders, has led an increasing amount of countries towards stricter immigration policies. In Brazil, as in other Latin American countries, such as Argentina and Uruguay, the existence of large Muslim communities, and specifically of Syrian decent, as well as the alarming death toll of refugees in the Mediterranean, has incentivized sympathetic open-door regulations. Despite the region’s efforts, the domestic issues these countries have to face affect the progress of open-door policies, as well as the refugees’ success in adapting to the host country, thereby regressing the attempts to address the crisis. Since the refugee crisis erupted in March 2011, the Syrian civil war has continuously ripped the country apart into armed factions, causing more than 270 thousand casualties and displacing many thousands more. The majority of the displaced have sought to arrive at the shores of Europe, many passing through Turkey and Greece on their travels to Northern Europe. The overflow of refugees into Europe has triggered political fragmentation in the EU and within European countries. In Germany, Chancellor Angela Merkel’s administration, which at first advocated for open-doors regulations for refugees within the EU, is struggling against popular efforts in her own country to keep refugees out. Across the Atlantic, the Obama administration pledged to absorb 10,000 Syrian refugees by September 30 of this year. However, only about half as many refugees have been admitted as of May 2016 due to anti-refugee rhetoric by various Republican public officials and presumptive Republican presidential nominee, Donald J. Trump. Meanwhile, despite their distance from the crisis, countries in Latin America have sought to ease the humanitarian catastrophe extending from the Middle East to Europe’s borders. Despite economic frailty and political turmoil, Latin American countries are organizing resources to accept refugees from Syria. While these countries are predominantly Catholic, they also contain sizable Muslim communities. Argentina, for example, with its large Syrian community (approximately 3.5 million Syrian-Lebanese immigrants), has accepted more than two hundred refugees so far. In the wake of the humanitarian crisis, Latin American governments are appropriating resources and taking initiatives to allocate those displaced by the crisis in the Middle East. The efforts undertaken by Brazilian authorities to accommodate Syrian refugees exemplify an effective movement toward easing the humanitarian crisis. In spite of enacting several policies that represent the region’s most progressive position to deal with the humanitarian crisis, the Refugee Act of 1997’s legal framework has been recently abandoned due to political turmoil within Brazil’s own borders. The enactment of the Refugee Act (Law No. 9,474, July 22, 1997) established guidelines for granting visas to refugees, and also created the National Committee for Refugees (CONARE), which has been devised for reviewing applications and for eventually granting approval for refugee status. The act demonstrates a precedent of a willingness in Brazil to accommodate refugees undergoing harsh situations and a commitment to humanitarian purposes. The parameters of the Refugee Act were expanded by means of an agreement signed on October 5, 2015 in Geneva with the United Nations High Commissioner for Refugees and Brazil’s Secretary of Justice under President Dilma Rouseff, Beto Vasconcelos. The pact entails a plan to build facilitating structures and allocate governmental resources to facilitate the migration of Syrian refugees: “the cooperation includes the exchange of information, expertise and experience, as well as training and capacity building activities, sharing of general and specific materials, and also techniques of interview and identification of potential candidates to visas issued based on the humanitarian policy of the Brazilian Government.” As of March 2016, the agreement has granted 8,474 special refugee visas for Syrians on a humanitarian basis, placing Brazil at the forefront of Latin American countries aiding the crisis. However, the country’s ongoing embezzlement scandal, which has now displaced President Rouseff from the Brazilian presidency, and made Michel Temer interim President, has brought about a different approach towards responding to the refugee crisis. The suspension of incoming refugees has been ordered by Temer’s new Minister of Justice, Alexandre de Moraes, according to two sources involved in the new administration’s current negotiations. 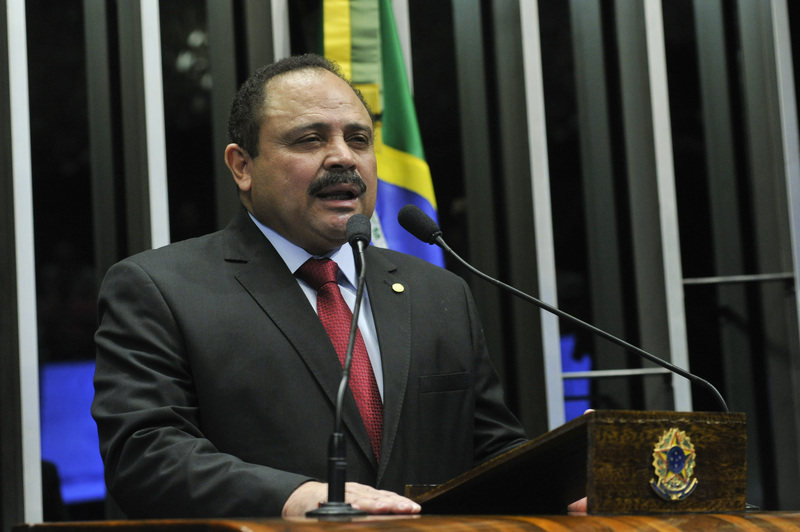 The policy negotiated by Secretary Vasconcelos was initially set to remain in effect until 2017. Nonetheless, the country’s political chaos and the economic crisis are currently being prioritized by the interim administration, thereby smearing the progressive strategies previously being implemented. In 2014, Argentina implemented the “Syria Programme” in order to combat the increasing demand for refuge in the country. It granted special humanitarian visas for asylum seekers and refugees fleeing the civil war in Syria. In particular, eligibility was granted to Syrians and Palestinian nationals in Syria who have received assistance from the United Nations Relief and Works Agency for Palestine Refugees (UNRWA). The program added around 100 families to the number of immigrants allocated to Argentina (233 Syrians as of September 2, 2015). The program offers a two-year temporary entry visa, renewable for one more year. After the expiration of the first three years, refugees are allowed to request permanent residence in accordance with Argentinian citizenship laws. With help from Argentina’s Ministry of the Interior, the country’s regional governments have taken voluntary initiatives to accommodate refugees. For instance, in the Cordoban city of Pilar, 50 families have been granted land, work, and the possibility to apply for permanent residency. Moreover, the region of Chubut has implemented a program to take in school-age refugee children and their families and place them in urban centers in the Patagonia region. In October 2014 in Montevideo, then-President José Mujica personally greeted the first 42 Syrian citizens from five families given refuge in Uruguay. The first Latin American country to express willingness to welcome Syrian refugees, Uruguay has so far only granted refuge to 117 immigrants up to September 2015. Administrative changes have substantially reduced the equivocal open-border policy already frail due to the economic difficulties the refugees face and the social dissonance caused by their public manifestation in front of the Presidential Palace on September 7, 2015. According to political analyst, Daniel Chasquetti, the Uruguayan economic sector, which is largely based on agricultural and textile production, has proven unable to absorb the refugees into the work force. The initial efforts to mitigate the refuge crisis came to a halt after Syrian refugees gathered in front of the Presidential Palace in Montevideo asking for visas to leave the country. Although the Uruguayan government provided the refugees with Uruguayan identity cards and travel documents, the refugees are unable to travel to other countries because not all countries recognize such documents. Lacking passports from their home country and alternative legitimate documentation, a refugee family who tried to travel to Serbia in August 2015, was held for 23 days at an airport in Istanbul and was ultimately sent back to Uruguay. Refugees lament the government’s insufficient support in helping them adjust economically, as well as Uruguay’s limited economic opportunities. “They came here because they were promised things, and a better life. But they don’t live better here, and it’s very expensive. They don’t want money, they don’t want anything from this country. They want to go back,” said Ali Jalil Ahmad, head of Uruguay’s Islamic Center; “they are appealing to the United Nations, or any country in the world, to get them out of here.” The economic situation in Uruguay is unfavorable even for its own 3.3 million citizens, “about 40 percent of workers earn around $500 (USD) a month,” according to a leading Uruguayan union. Amidst the economic trouble and social discord, Uruguayan public opinion has turned sour towards the refugees. Some believe the Syrians’ attitude to be rude and ungrateful. One Uruguayan perceives the demonstrations as “offensive.” Monica Benítez, a Uruguayan citizen, lamented on her comfortless experience as an immigrant in Spain, “I wish Spain would have given me half of what Uruguay is giving them.” Such discourses demonstrate the uncertainty of Uruguayans towards further extending aid to ease the crisis, which in turn is affecting the path the government is taking going forward. Following the ambivalence raised by Uruguayans, the Mujica administration’s progressive efforts have dissipated after his successor, President Tabare Vazquez, took office in 2015. The public backlash has led President Vazquez to announce the temporary suspension of allocating more Syrian families from arriving in the country in March of the same year. The initial enthusiasm that the Mujica administration displayed in accepting refugees has dwindled down leaving prospects for accepting further refugees with dubious aspirations. The examples set forth by these countries demonstrate a dichotomy often faced in executing programs of humanitarian aid: the willingness to implement helpful initiatives and the inability for governmental structures to cope with its undertaking. Nonetheless, the initiatives implemented in Brazil, Argentina, and Uruguay demonstrate a willingness to face outwardly in a region afflicted by domestic crises. In fact, the internal issues faced by these countries should not obscure the helpfulness expressed through these initiatives. 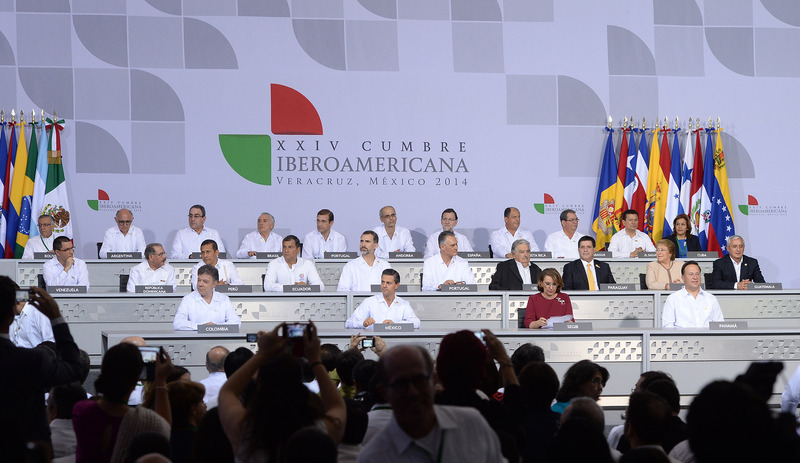 The openness and foresight of such policies exemplify the continuous undertaking of social developments by these Latin American governments. The intake of Syrian refugees, many of whom are entrepreneurs and highly trained individuals, could represent an investment for the future of these countries. The governments’ increased participation in the humanitarian front could also help empower internal social movements that call for more equitable social conditions. Syrian Observatory for Human Rights. http://www.syriahr.com/en/category/news/syria-news. Philip Oltermann. “Merkel Refuses to Abandon Refugee Policy despite Election Setbacks.” The Guardian. March 14, 2016. Accessed July 05, 2016. https://www.theguardian.com/world/2016/mar/14/angela-merkel-refuses-to-abandon-refugee-policy-despite-election-setbacks. Jodi Kantor and Catrin Einhorn. “Refugees Encounter a Foreign Word: Welcome.” The New York Times. 2016. Accessed July 05, 2016. http://www.nytimes.com/2016/07/01/world/americas/canada-syrian-refugees.html?ref=americas. Patricia Zengerle. “White House Sees Surge in Syrian Refugee Admissions This Year.” Reuters. June 16, 2016. Accessed July 07, 2016. http://www.reuters.com/article/us-mideast-crisis-usa-refugees-idUSKCN0Z22R4. Jonathan Watts. “A Long Way from Home: Syrians Find Unlikely Refuge in Brazil.” The Guardian. March 11, 2015. Accessed July 05, 2016. https://www.theguardian.com/world/2015/mar/11/syrians-refuge-brazil-latin-america-war-refugees. “Foreign Affairs.” Refugees and CONARE. Accessed July 05, 2016. http://www.itamaraty.gov.br/en/politica-externa/paz-e-seguranca-internacionais/6286-refugees-and-conare. “Foreign Affairs.” UNHCR. Accessed July 06, 2016. http://www.itamaraty.gov.br/en/component/tags/tag/218-unhcr-united-nations-high-commissioner-for-refugees. “Refugees Find Home In Brazil,” The Brasilians. Year 43, Number 441. July 2016. Print. Karin De Gruijl and Jonathan Clayton. “Brazil and UNHCR Strengthen Partnership to Help Refugees Fleeing the Syria Conflict.” UNHCR News. October 7, 2015. Accessed July 05, 2016. http://www.unhcr.org/en-us/news/latest/2015/10/5615130c6/brazil-unhcr-strengthen-partnership-help-refugees-fleeing-syria-conflict.html. “Temer Ends Brazil’s Plan to Host 100,000 Syrian Refugees.” TeleSUR. June 17, 2016. Accessed July 06, 2016. http://www.telesurtv.net/english/news/Temer-Ends-Brazils-Plan-to-Host-100000-Syrian-Refugees-20160617-0012.html. “L’America Latina Aperta Ai Rifugiati Siriani.” L’Indro. LIndro L’America Latina Aperta Ai Rifugiati Siriani. September 08, 2015. Accessed July 06, 2016. http://www.lindro.it/lamerica-latina-aperta-ai-rifugiati-siriani/. “Argentina.” Argentina. Accessed July 05, 2016. http://www.migracionoea.org/index.php/en/general-index-2015/46-sicremi/publicacion-2014/informe-parte-ii-eng/594-argentina.html#_ftnref1. Diego Bechis. “El Intendente De Pilar Ofrece Alojamiento a Refugiados Sirios.” Cba24n. September 4, 2015. Accessed July 05, 2016. http://www.cba24n.com.ar/content/el-intendente-de-pilar-ofrece-alojamiento-refugiados-sirios. “Refugiados De Siria Que Huyen De La Guerra Podr.” An Venir a Vivir a Trelew. September 9, 2015. Accessed July 05, 2016. http://www.elchubut.com.ar/nota/139834/. “Mujica: “No Podemos Parar Una Guerra, Pero Sí Mitigar Sus Efectos”.” El Observador. October 9, 2014. Accessed July 05, 2016. http://www.elobservador.com.uy/mujica-no-podemos-parar-una-guerra-pero-si-mitigar-sus-efectos-n289529. “Syrian Refugees Protest in Uruguay, Say Host Nation Lacks Opportunity.” WSJ. September 7, 2015. Accessed July 06, 2016. http://www.wsj.com/articles/syrian-refugees-protest-in-uruguay-say-host-nation-lacks-opportunity-1441667373. 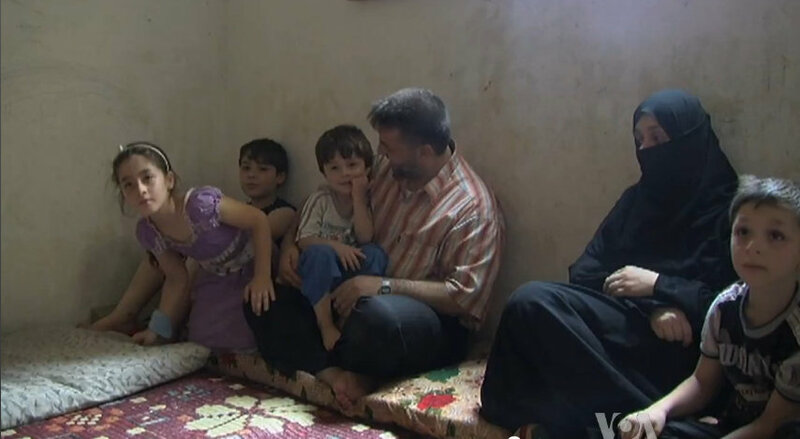 “In Uruguay, Frustrations Arise Over Syrian Refugees.” VOA. October 19, 2015. Accessed July 06, 2016. http://www.voanews.com/content/in-uruguay-frustrations-arise-over-syrian-refugees/3013781.html. Diesen Artikel Vorlesen Iassen. “In Uruguay Wächst Die Wut Auf “undankbare” Syrer.” DIE WELT. October 21, 2015. Accessed July 05, 2016. http://www.welt.de/politik/ausland/article147863205/In-Uruguay-waechst-die-Wut-auf-undankbare-Syrer.html. “Syrian Refugees Protest in Uruguay, Say Host Nation Lacks Opportunity.” WSJ. September 7, 2015. Accessed July 07, 2016. http://www.wsj.com/articles/syrian-refugees-protest-in-uruguay-say-host-nation-lacks-opportunity-1441667373. Müller, Christian. “Five Syrian Families in Uruguay Since 2014 Have Packed Their Bags and Want to ‘Get Out’ | VICE News.” VICE News. September 11, 2015. Accessed July 05, 2016. https://news.vice.com/article/five-syrian-families-in-uruguay-since-2014-have-packed-their-bags-and-want-to-get-out. Frances Martel. “Uruguay: Locals ‘Outraged’ at Complaints from Syrian Refugees.” Breitbart News. October 20, 2015. Accessed July 06, 2016. http://www.breitbart.com/national-security/2015/10/20/uruguay-locals-outraged-at-constant-complaints-from-syrian-refugees/. Dilma’s Impeachment Process to Return to the Chamber of Deputies? May 9, 2016 COHA Comments Off on Dilma’s Impeachment Process to Return to the Chamber of Deputies?